So do they take credit cards in Vienna? But carry some cash, particularly for the Christmas markets, bars, etc. Vienna (and Austria in general) does not have a strong tradition of credit card use. For example, I cannot remember ever seeing a local pay with a credit card in a bar or restaurant. The relatively low uptake of credit cards in the population compared to places like the UK has its roots in traditional values. Austria is not a credit-driven economy; home ownership is not widespread in Vienna, for example. The credit card companies also charge an annual fee which puts off some people. And debit cards (the Bankomat card where each payment you make comes straight off your Austrian bank account) are popular alternatives. This reluctance to use credit cards is reflected in the retail world. 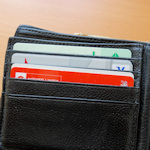 You should not assume you can pay for all your meals, rooms, tickets or shopping with a credit card. Always check for the appropriate symbol on the door or till, first. Don’t get me wrong – many places in Vienna (particularly hotels and other businesses that regularly serve tourists) do take cards. But refusing cards is not that unusual, so check first if in doubt. In particular, be prepared to use cash at the Christmas market stalls, and at cafés, bars, restaurants etc. outside of the tourist hotspots.